When you are in the market for portable HVAC equipment rental, it helps to have a source that you can trust. Alpha Energy Solutions specializes in HVAC and we are available to assist with your portable cooling needs. HVAC equipment rental supplies are still an investment so knowing that you can rely on an expert should provide a measure of relieve. 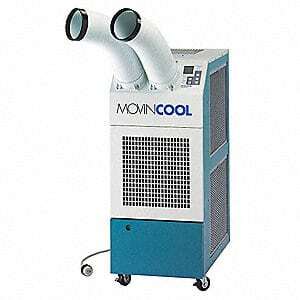 Navigating through the complex market of cooling products available can often be a cumbersome task. Having an experienced technician guide you in the right direction will save you both time and money. Whether you need a portable HVAC equipment rental for an industrial or commercial facility, Alpha Energy Solutions is a capable supplier. In fact, we deal with all of the major manufacturer brands in HVAC. As a result, we can offer a selection of brands that you are likely familiar with. You’ll want to be certain that your units are delivering a high level of quality. We understand that outstanding performance is a must and efficiency is a necessity. From commercial to industrial units, it is certain that there is something just right for your application. As a seasoned service provider with over 2000 years of combined field experience, we can deliver service and satisfaction. Moreover, we handle systems of all sizes. Based on your application, we can pinpoint a product that meets your specifications in terms of components, performance, environmental factors, and speed. Budget is also a relevant concern however, due to our access to such a wide range of systems, you will find a unit that is suitable. Our rental equipment does not just end with installation. We provide a selection of Preventative Maintenance Programs which are available to you. The programs can be customized to match your needs and they will keep your equipment current. Preventative maintenance is a wise investment that is worth considering when having any type of HVAC system installed. In the long-term, they will save you plenty of time and money as well.